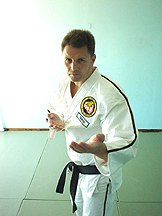 The Art of JU-JITSU is over 2,000 Years Old and was brought to Britain in the late 19th Century. One of the first recorded Japanese Kempo Schools was Araki-Kempi Ryu in the 15th Century, coming up to date with 1930-50's Kempo Ju-Jitsu. 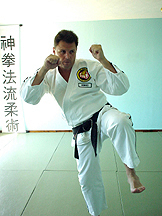 Dr James Mitose a descendent of a Samurai Clan, a Hawaiian born Japanese Kibie, studied the art of Kosho Kempo Ryu. 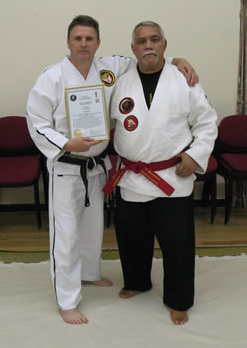 One of his students was Ed Parker of Kempo Karate fame who trained with Bruce Lee also the founder of the small circle Ju-Jitsu, Professor Wally Jay . Technical Director to the Z.K.J.J.A. 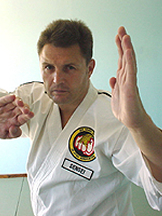 Zen Kempo Ryu Ju-Jitsu was founded and formulated by Terry Coughtrey, Sensei Coughtrey began training in martial arts in 1969 and trained to Shodan in Wadoryu Karate with Maji Suzuki in the 1970's. 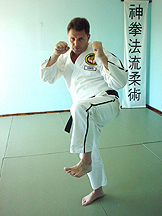 He also trained in Ju-Jitsu and other systems included Wing Chun, Wu Shu, Judo, Thai Boxing, Kempo Karate, & unarmed combat.